Sam immediately confesses that he’s not the type of pirate that Henry meant, though he does have a certificate of authenticity and did have a buccaneer’s baptism: “Truly, I’m the worst pirate in the world…I suppose by the standards of some bloodthirsty seamen, I’m hardly a pirate at all…There’s a lot of pressure, when you’re a second-generation pirate, to carry on the family name, but I—I couldn’t…I couldn’t grow a beard,” Sam says, putting his hands over his eyes. Yeah. That’s one of my favorite parts of the book. Only Laurel, I say. 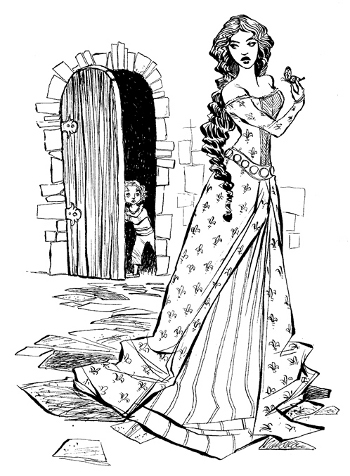 In Any Which Wall—which School Library Journal described as a book fantasy fans will enjoy, “but so will readers who like stories about ordinary kids”—the four children wish their way not only to the home of Blackbeard’s bumbling grown son, but also to Merlin’s castle, their small home-town of Quiet Falls when it was a small frontier town in the Old West (to meet the dastardly Wichita Grim and save a dog), and much more. With a well-paced plot, snappy dialogue, endearing characters (whose own separate coming-of-age journeys pulled me in), and LeUyen Pham’s fabulous drawings (I’ll say it again: Seven cheers for illustrated novels! ), this is a book I enjoyed reading aloud to my children. Laurel, pictured below, is here today to talk a bit about it, and I’ve got a handful of LeUyen’s lively drawings from the book to share, too. (LeUyen fans, note that she previously stopped by 7-Imp almost two years ago.) So, without further ado, here’s Laurel. I thank her for stopping by. Enjoy. Laurel: “The genesis of the book is unromantic in the extreme. In fact, I pitched the proposal, because I desperately needed money for health care, when my husband lost his job during my second pregnancy. I’ll spare you the details (though if people want to read more about THAT they can visit Gwenda for the skinny). But it’s a dull tale. No muse was in sight back then. Or maybe she was there — just buried under a gigantic mound of bills! But, once I figured out what I was doing and found my voice, it became a great pleasure to write (with my baby in a sling). Because what the book is, really, is a tribute. To several different things. It’s a tribute to Edward Eager, who wrote so many of the books I adored as a kid. Who found a way to combine humor and magic and real kids and adventure in a way that felt timeless. It’s a tribute to the state of Iowa, which I love. And to the idea that there are still towns where kids can ride their bikes unattended. And parents who aren’t afraid to let them. It’s a tribute to my siblings (and best friend), for whom the kids in the book are named. And who are, for me, the best kind of family. But, the more I think about it now, the more I feel it: Any Which Wall is a tribute to the idea of the childhood adventure story. By which I mean everything from The Penderwicks to Mrs. Piggle Wiggle. Half Magic to Anne of Green Gables. See, I loved those books as a kid. 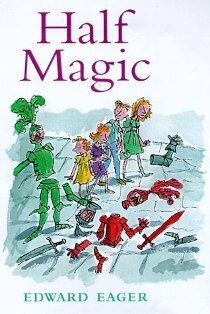 I was OBSESSED with magic, but also everyday rambling adventures and excursions afield and kids in other places. I never really read a lot of YA books. There weren’t so many back then. And, because of that, I kept reading (and re-reading) middle-grade books. Books in which kids had fun, got into scrapes, discovered secret places, even solved mysteries. But not books in which kids SAVED THE WORLD! Not books in which kids made out with each other and thought about themselves all day long. Books that took kids outside themselves, but just a little bit outside. Not so far they couldn’t come home. I think kids grow up very fast now. I see middle school girls obsessed with Twilight, and that’s fine. But there is something really important, I think, about having books where the adventure is the thing. The adventure beyond the door that might be real. The adventure that stems from a kid’s own need to see and do and roam. Kids today are going to become navel-gazers. They’re going to deal with global warming and self-esteem issues and watch movies about dystopian worlds and vampires. Which is fine. But I just think that when you’re seven—or ten or eleven—it might be nice to read books in which other kids experience, explore, grow, change, learn, and trust in the world around them. Any Which Wall is not a BIG book. It is a story about four kids who find a magical wall in a field near their house and use it to travel to places like Camelot and the Wild West. Which is STILL what I’d do if I found such a wall. But the problems that Henry and Emma and Susan and Roy encounter are problems they can grasp. Things they can fix. 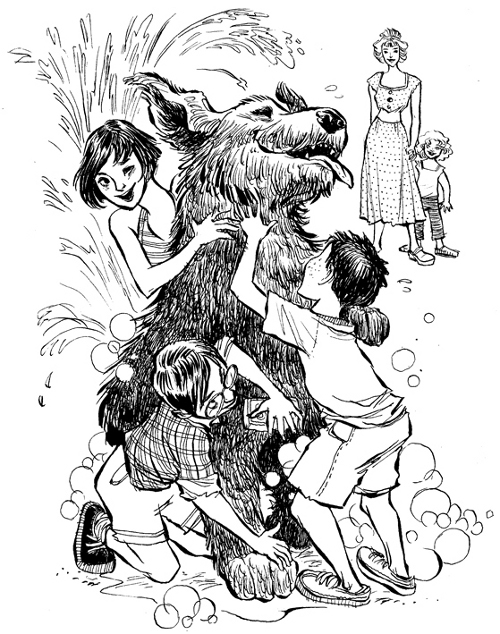 At the heart of the book is the hurt dog the kids find in the past and bring home with them. (What to do with it?). And then, too, the oldest kid, Susan, who’s twelve, has to decide who she wants to be. Straddling the worlds of childhood and teen-hood, she has to decide what to believe — and who to become. 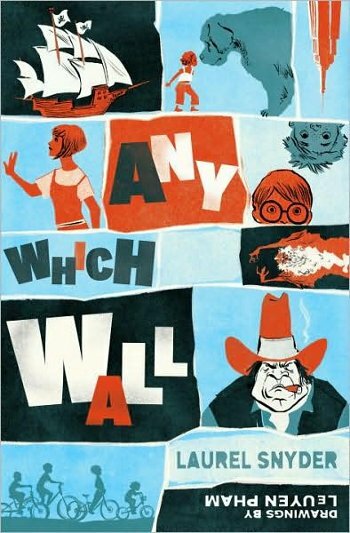 ANY WHICH WALL. 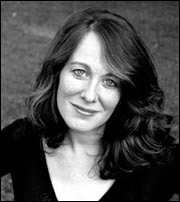 Text © 2009 by Laurel Snyder. Illustrations © 2009 by LeUyen Pham. Reproduced by permission of the publisher, Random House, New York, NY. All rights reserved. ANY WHICH WALL sounds fabulous! I’ll be sure to look for it! Thanks so much, guys. I love this site, and its an honor to see myself up here! Thank you so much for this inspiring interview, Jules and Laurel. 🙂 I have been coveting Any Which Wall since I saw it in Philippine bookstores. Must buy it soon!! Congratulations, Laurel! They love this title over at my local indy bookstore. I’m saving this one to read when I’m done with my current deadline. I really appreciate what you’ve said here about the importance of adventure. Can’t wait to share this one with my kids! Congratulations Laurel and Jules, too. Another great feature. 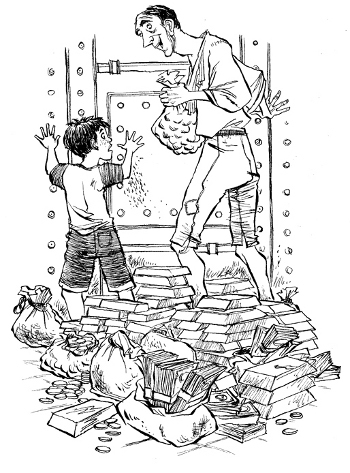 Magic wasn’t big on my list of kid reading, but adventure was … and still is. Time to stop procrastinating and go find that wall! Another Pham book. I’m becoming a big fan. Can’t wait to check it out!